Lets start with a question and end with one. In the recent history of the World, which building has inspired a new thought, a new way of thinking in us? Too many to choose from or nothing at all! 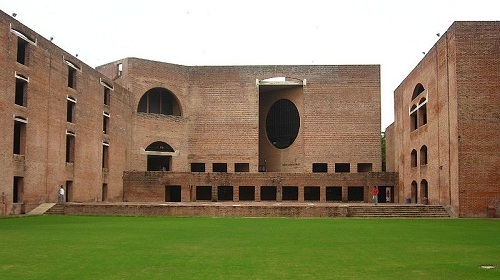 How come every building that comes to our mind is either too old to apply or worse done by a foreign architect – be it the Rashtrapati Bhavan or IIM Ahmedabad. But the old school of architecture has given way to the new. When Corbusier came up with his perfect home in a concrete box, it was called modern architecture. After decades is it still “modern”? Yes there was a post modern and post post modern. As we classify history as renaissance baroque etc. what will our grandchildren call our buildings? Maybe something undignified as “alu-bond Architecture” or something vague as “Modern World Deco”…! I like to believe that architectural styles follow trends much like waves where there are crests and troughs. While one style may judge beauty of buildings in their details and symbols like in the baroque and rococo (crest extreme stylizing) the style immediately following it will be devoid of such excesses and be totally stark in comparison like in the renaissance. In modern architecture, the term details took on a newer meaning and attention shifted to quality of spaces within the structure. Following this trend, do we see the reawakening of some past style? In India, ornamentation seems to be ingrained in the minds and eyes of the people. Chandigarh is like a stepchild to motherland. 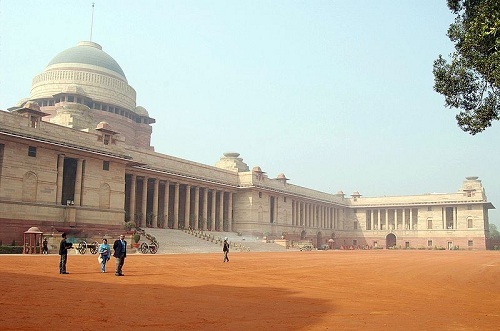 But so was New Delhi when it was first conceived and built. So 50 years down the line do we see Chandigarh being proclaimed as one of the world’s best designed cities and Le Corbusier as the Father of Modern Architecture. The vernacular architecture of the land was confined to villages and temples. Credit must be given though to the rulers and kings who tried to incorporate local traditions into their structures creating a fusion of styles so perfect in their own right. This gave rise to an amalgam of ideas which is probably now termed as Indian Architecture. But what is the Indian Architecture of today? For that matter, what is American or European Architecture today? Architecture today is all about using new materials and construction and advanced structural systems. It is all about Global architecture! But in this quest for Globalization, there are very few buildings that have a character to inspire the creation of something new. Globalization in Architecture has changed a whole lot of things. A question that lingers is whether these buildings will stand the test of time or will they give way to newer structures to satisfy the ever growing need of space. Will we see Frank Lloyd Wright’s Robbie House in the next decade? Then how come we still have a Charminar (Hyderabad, India) or Red Fort (New Delhi, India) even after the war of conquest and destruction were waged against the regimes that built them? Was it their construction or the service they catered to? The Taj Mahal was so beautifully proportioned and built that even the Persian and later the British armies that ravaged Agra didn’t have a heart to destroy it. Are we still capable of creating such exotic buildings that stand the test of time and trends, or does was the end of Renaissance era also the end of great architects? I often wonder what legacy, if any, we as architects leave for future generations as we had the good fortune to learn from ancient architecture? This entry was posted by Benzu JK on September 16, 2010, 10:37 am and is filed under Architecture. You can follow any responses to this entry through RSS 2.0.